Minutes passed, not enough of them, and a shout sounded from the wagon. They’d been discovered missing. Every survival instinct John owned came roaring to life. Miss Scott kept up the same pace, though he noticed she had her gun out again. He wanted to take over leading and run like mad. But she didn’t even speed up. If anything, she was more silent . . . except what was more silent than silent? John didn’t think there were footprints visible on this grassy trail. At least not to his eye, and he’d had a little experience with tracking in the war. Not a lot, but enough . . . he hoped. He noticed that dusk was settling in. Good. Better to hide in the dark. They moved on. John wasn’t even sure which direction they were headed. On and on they went, dodging limbs, fighting for silence. The trail twisted and curved. It went up, then around, then back down again. John had no idea where they were. He thought they’d come north from Dismal, but he wasn’t at all sure. A gun fired behind them. John kept moving. “Found our trail,” Miss Scott hissed, sounding furious. The gunshot was an alert. The men had split up, and now one man was telling them all to come running. “Gunshot’s a ways off. We’ve gained some space.” She was breathing hard, yet her pace didn’t slacken. John didn’t know how long he could keep running—he’d never tested himself. But a gunman on your trail would push you past all your limits. A very female squeak from ahead was his only warning. Miss Scott vanished. John had no chance to stop. He went over the gully edge, tumbling, sliding, trying to protect his head from further injury. For a second he fell clean, no contact with the earth at all, and then he hit an outcropping. He caught sight of Miss Scott below, saw her skidding along, then suddenly she was on her feet and running, almost straight down . . . well no, but a real sharp descent. Still, better than what they’d been falling down. John gathered himself for the instant he reached the slightly less steep section. Sure enough, he hit it and went head over heels. His head was already wounded, and he felt every bump. Then he struck a large root jutting out of the slope. It stopped him with the force of hitting a brick wall. For a second. But that second let him get his balance and he lost hold of the root, this time with his feet under him. Going at full speed was stupid and reckless, but he saw no way to stop and honestly no point. They had to be making a racket, and those men would be coming soon. But maybe the men behind them wouldn’t risk jumping over a cliff. Sounds interesting and great cover. Thanks for a great giveaway! 1800s Western Romances are some of my favorites. 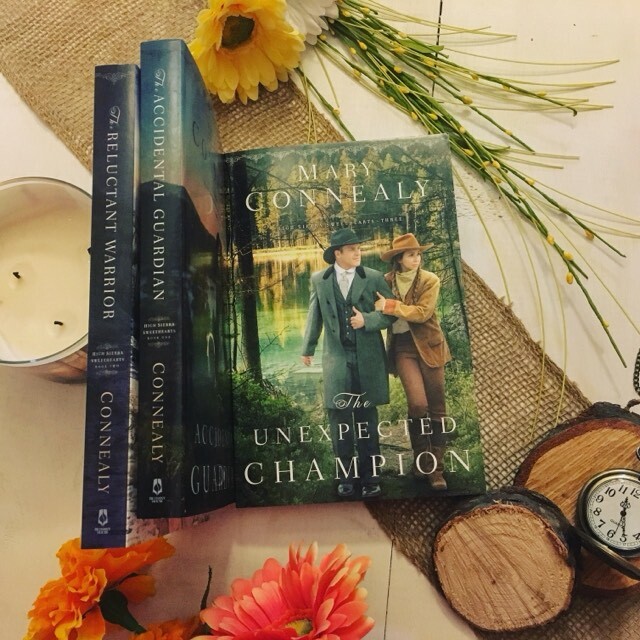 Love Mary Connealy's writing & this excerpt makes me really want to read The Unexpected Champion!! 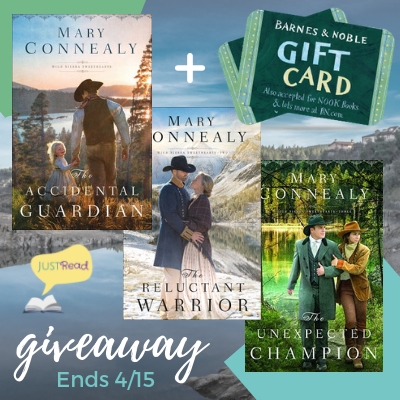 Thank you for being part of the blog tour for "The Unexpected Champion" by Mary Connealy. Have this book on my TBR list and can't wait for the opportunity to read it. Always enjoy this author's books. I enjoy Mary Connealy's books! Thank you for hosting.